WPXI-TV, the NBC affiliate in Pittsburgh, Pa., recently implemented Avid Everywhere to improve the visual impact of its broadcasts and stand out in one of the most competitive media markets in the United States. By implementing Avid graphics workflows from the Avid Studio Suite, the station’s news production team is able to produce hours of high-quality visual content with greater speed and efficiency and attract the widest possible audience. 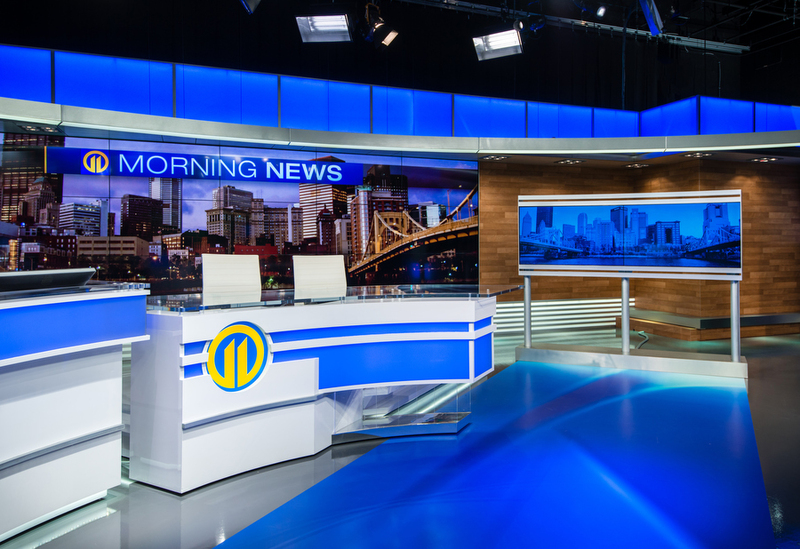 In October 2015, WPXI-TV debuted a new set with state-of-the-art video arrays, including five 55-inch monitors and a video wall made up of 18 monitors. To streamline control of the new monitors, WPXI-TV integrated a mix of Avid and third-party solutions, including an Avid TD Control video wall control system, Avid iNews newsroom management, Grass Valley Ignite automation, ChyronHego graphics creation and Avid AirSpeed video servers. WPXI-TV was the first station in the country to successfully integrate these systems. The installation took place immediately before November sweeps, so it was critical to implement the system in an extremely short timeframe. To meet this deadline, Avid invested several weeks to help oversee and manage the implementation. Production teams can create content for the various video arrays and customize visuals for individual shows with greater speed and efficiency. TD Control also helps WPXI-TV produce visually dynamic on-set commercials for advertising clients and quickly customize the visuals to meet their needs. This offers WPXI-TV a great advantage over other stations in their market.